Several surgical procedures have been reported to be effective in vitiligo. Surgical options for repigmenting vitiligo include tissue and cellular grafting. In patients with stable vitiligo who fail conventional therapy (topical and phototherapies), surgical transplant offers a viable alternative. Cellular grafting allows transplantation of vitiliginous areas much larger than the size of the donor skin. This advantage can be further exploited by culturing and cryopreserving autologous melanocytes. Because culture media and supplements are used in the cultivation of melanocytes, long-term safety concerns remain when these cells are transplanted onto human skin. 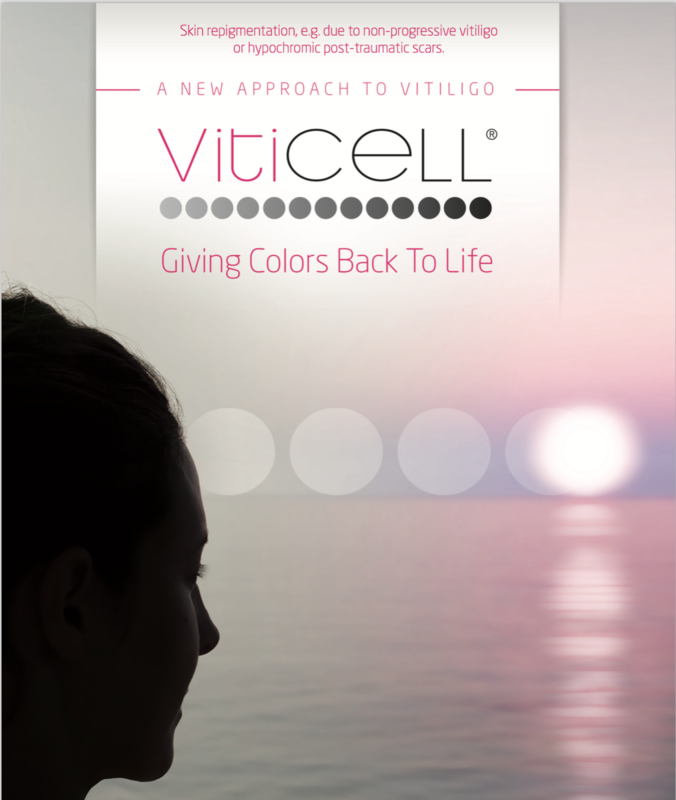 In contrast, noncultured cellular grafting offers the advantage of repigmenting vitiligo. 5 to 10 times the size of the donor skin without the need of culture media, and can be completed on the same day on an outpatient basis. Surgical methods, mainly transplantation of noncultured epidermal cell suspension (NCECS), are emerging as the treatment of choice for stable vitiligo. The survival of transplanted melanocytes is more likely in stable vitiligo than in nonstable vitiligo, as the grafted cells can be harvested from disease-free areas. Major advantages of NCECS are a smaller amount of donor skin being needed to cover a large recipient area, little postoperative pain and discomfort, easier placement of the cellular graft and excellent color match. For more information about the treatment, please click the picture below or HERE.